We’d love your help. 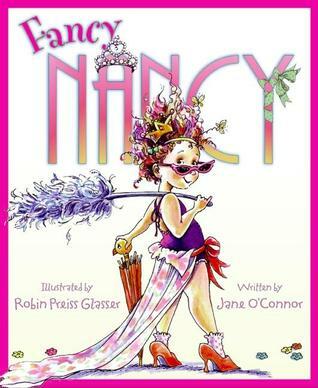 Let us know what’s wrong with this preview of Fancy Nancy by Jane O'Connor. Meet Nancy, who believes that more is ALWAYS better when it comes to being fancy. 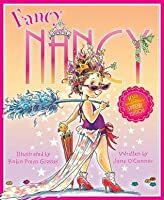 From the top of her tiara down to her sparkly studded shoes, Nancy is determined to teach her family a thing or two about being fancy and u From the dazzling duo of Jane O’Connor and Robin Preiss Glasser, welcome Fancy Nancy! This is the bestseller that launched the beloved Fancy Nancy series. To ask other readers questions about Fancy Nancy, please sign up. Fancy Nancy is a character who loves accessories and glamorous ones at that. She believes in dressing up and in educating her family on the importance of style. She teaches the reader exciting new vocabulary as she instructs her family. She is an independent thinker with much creativity and spirit. A delightfully fun read with outrageously imagined illustrations! I can't believe I'm saying this, but I LOVE THIS BOOK!!!!! I absolutely adore it. It is so popular (I saw copies at the AIRPORT bookstore, for goodness sake!) that I wrongly assumed it was commercialized fluff. Not so!!! This is a really sweet, thoughtful story (with the most adorable illustrations) about Fancy Nancy--she loves to make everything "fancy" (like calling ice cream sundaes parfaits--and then adding sprinkles!) but she is the only one in her family who does and sometimes it gets a lit I can't believe I'm saying this, but I LOVE THIS BOOK!!!!! I absolutely adore it. It is so popular (I saw copies at the AIRPORT bookstore, for goodness sake!) that I wrongly assumed it was commercialized fluff. Not so!!! This is a really sweet, thoughtful story (with the most adorable illustrations) about Fancy Nancy--she loves to make everything "fancy" (like calling ice cream sundaes parfaits--and then adding sprinkles!) but she is the only one in her family who does and sometimes it gets a little lonely. Until, one evening, she decides to hold a "Become Fancy" class and her family enthusiastically attends and then goes on-the-town to be fancy together. It's a dream-come-true for Nancy! This is a really great book about appreciating one another's differences while also trying to share in one another's interests sometimes, too. Don't miss this!!! Great name! 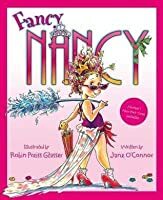 This is a cute book and I would have to say one of my favorites just because I was always called and teased with the nickname Fancy Nancy when I was growing up. I've been working my way through our library's collection of Fancy Nancy e-books, but I'm getting close to the end. It was time to turn to the hardcovers, so I reserved a few. Last night, my mom and I sat down together to read some children's picture books. Why not? I think we both enjoyed them. My mom said my sister and I probably would've loved these books when we were little, and I concur (that's fancy for "agree"). We started with Fancy Nancy, which is apparently where the whole story begins. I've been working my way through our library's collection of Fancy Nancy e-books, but I'm getting close to the end. It was time to turn to the hardcovers, so I reserved a few. Last night, my mom and I sat down together to read some children's picture books. Why not? I think we both enjoyed them. My mom said my sister and I probably would've loved these books when we were little, and I concur (that's fancy for "agree"). We started with Fancy Nancy, which is apparently where the whole story begins. We even get to see Nancy's bedroom before she made it fancy. The premise is that Nancy is a fancy little girl... and the only fancy person in her family. So she tries to change that by giving her family (her mom, dad, and younger sister) lessons in being fancy. They play along, getting all dolled up and eventually going out to the local pizza parlour for dinner like royalty. But after a little mishap, Nancy realizes that being fancy is not the most important thing, and that love--which needs no fancier word--is even better. I think I appreciated reading this in hardcover more than I would've in e-book format. The book is fairly large, so it's easy (and fun!) to look at all the wonderful stuff going on in all the pictures. I loved watching JoJo copy everything Nancy did; she obviously looks up to her big sister! I don't think Nancy is bratty or conceited - I think she's a little girl who, like many young children, likes shiny and "fancy" things. And she has remarkably supportive parents - just look at their shopping list! Milk, eggs, bread, fuschia hair mousse. The pictures are... interesting. They really accurately capture the moods of the characters - the little sister copying her big sister (or grumbling as the crown is patiently taped back on her head! ), the kid jumping for excitement. All the same, I don't think Nancy is bratty or conceited - I think she's a little girl who, like many young children, likes shiny and "fancy" things. And she has remarkably supportive parents - just look at their shopping list! Milk, eggs, bread, fuschia hair mousse. The pictures are... interesting. They really accurately capture the moods of the characters - the little sister copying her big sister (or grumbling as the crown is patiently taped back on her head! ), the kid jumping for excitement. All the same, the actual pictures of the characters seems a little off to me. Like the scene where we see Nancy peeking from behind the fridge door after she taped the poster on it. Realistic? Yes. Do I like it? For some reason, no. It's just a matter of simple preference, and not something I'd rate down for. I will rate down for the text. It's a bit dull, and while I appreciate the effort to cram new vocabulary words in (Posh is a fancy word for fancy!) I find it all to be a excessively... what is that fancy word? Oh yes, didactic. I found this method of teaching to be condescending when I was a child, and now that I'm *reading* to kids I don't like it any more. This one is nearly perfect. My daughter adores this book... She loves the "fancy" words and the darling illustrations. Recommend. Young Nancy loved fancy things. She loved fancy room decorations, fancy clothing, and most of all, fancy words. Unfortunately for her, her own family was decidedly un-fancy, despite all of her efforts to spruce them up. Until, that is, the day she got the idea to offer classes in fanciness. Does her family have what it takes to shape up? And does it matter, if they don't? Originally published in 2005, Jane O'Connor's Fancy Nancy has sparked a booming children's book franchise in the intervening t Young Nancy loved fancy things. She loved fancy room decorations, fancy clothing, and most of all, fancy words. Unfortunately for her, her own family was decidedly un-fancy, despite all of her efforts to spruce them up. Until, that is, the day she got the idea to offer classes in fanciness. Does her family have what it takes to shape up? And does it matter, if they don't? "I love you," my dad says. "I love you," my mom says. And all I say back is, "I love you." Because there isn't a fancy - or better - way of saying that. Fancy Nancy es una niña muy confidente, el adjetivo correcto para describirla es “extra”, va más allá para llamar la atención y como diríamos en México le gusta colgarse hasta el molcajete. Es una niña muy tierna, que defiende su estilo propio de vestir y lo más importante quiere incluir a toda su familia, y es lo más bonito de esta historia, las interacciones familiares. This review has been hidden because it contains spoilers. To view it, click here. I think most things sound 'fancier' in French. lol. It's cute how the parents are playing along with her. Dressing up. My favorite thing about this book series is still how the author is trying to teach the young readers 'fancy' vocabulary. I wish I had a series like this as a ch I think most things sound 'fancier' in French. lol. 29 months - I put this on hold at the library and ended up with the oversize story time version. I didn't want to take it home with us so we sat and read it at the library. O likes Nancy's sense of style and independance, I enjoy the way she introduces new vocabulary and explains what it means. O pick up vocabulary almost instantaneously so this is a great way for her to gain some new fun words. I figured if I'm going to throw a Fancy Nancy party next winter, I should probably read up on some of her books! There has to be something in them for all those girls to love. And I think I can see it. It's cute and funny. And it's not too long or dragged out. I looked forward to reading more. I hope they're like this. P.S. I LOVED the ending. P.P.S. I've already got a list of ideas for things to do at the party! A really cute, fun story for kids who love learning new and "fancy" words, and also about being yourself. There's also a great sense of family involvement and love which is subtle but very present. Also, great pictures for those kids who like illustrations with a lot going on. What a cute little book. I enjoyed reading this book about being "fancy". It's a perfect book for little princesses! 9/9/11 - My daughter picked this at the library again. We love Fancy Nancy! Fabulous illustrations. Mirthful sweetness. Nancy and her family and the vocabulary words are wonderful. I don't know how I didn't read this with the littles sooner. Finally got around to it today and I was not disappointed! Such a darling read, great vocabulary for kiddos and adorable pictures. This will definitely make its way into my children's book collection. This is a great book for young readers. 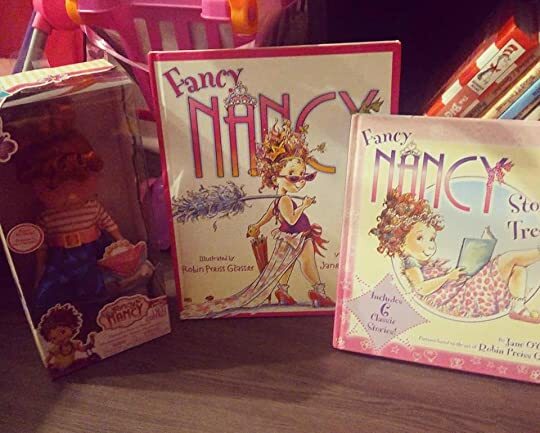 Fancy Nancy loves all things fancy and she teaches her readers a few of her favorite fancy words. Cute illustrations and great way to introduce children to new vocabulary words. But, I think Nancy missed that there is indeed a "fancier" way of saying "I love you." 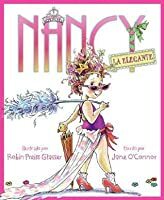 Brief Book Summary: Fancy Nancy loves being fancy, although her family is plain and boring. She teaches them all how to be fancy by dressing differently, accessorizing differently, and using words that sound “fancy.” Her family finally becomes ‘fancy,’ but at the end of the night she doesn’t feel so fancy anymore. Before bed she always tells her parents she loves them, because there is no fancy way to say that. Professional Recommendation/Review #1: Publisher’s Weekly- With exuberance, elan and lots of heart, O'Connor (the Nina, Nina Ballerina books) and Glasser (A Is for Abigail) prove that the bosom of the family has ample room for even the most outr individualist. Channeling the spirits of Grace Kelly and Audrey Hepburn-whose pictures adorn her extravagantly decorated room-Nancy tries to make the world a more flamboyant place, starting with her decidedly down-to-earth family ("They never even ask for sprinkles," she notes as they exit an ice cream parlor). She offers her parents and little sister a free tutorial in all things fancy (yellow is plain, gold is fancy), which they gamely attend, and they even agree to go to a restaurant wearing Nancy-orchestrated frou-frou (Mom's ensemble includes Christmas ornament earrings and a feather boa). But when Nancy commits a faux pas of major proportions (she trips with a tray full of ice cream) she comes to realize that her family's love for her is as bottomless as her collection of hair accessories. O'Connor captures Nancy's dramatic precociousness without making her sound like a snoot ("My favorite color is fuchsia. That's a fancy way of saying purple"); she comes across as a genuinely creative spirit rather than an imperious fashionista. Glasser's pictures brim with comic detail and sparkle like a bauble from Tiffany. Like O'Connor, she empathizes with Nancy's over-the-top sensibility, yet gently grounds the heroine in the steady (if bemused) embrace of her family. Ages 4-7. (Jan.) Copyright 2006 Reed Business Information. Professional Recommendation/Review #2: Robyn Gioia (Children’s Literature)- When my little girl was five, she told me I did not dress her pretty enough. She was a "fancy Nancy." Fancy Nancy is the heart and soul of all the little girls out there who love frills, plumes, color, and loads of style. Everyday things must be fancy. Nancy explains it this way, "I like to write my name with a pen that has a plume. That is a fancy way of saying feather. And I can't wait to learn French because everything in French sounds fancy." This fascination leaves Nancy a little frustrated because her family just does not understand. Lace-trimmed socks really do help her play better. And sandwiches really do taste better with frilly toothpicks. Then she decides it is time to teach her family how to be fancy. The story is delightful and sure to tickle the fancy bone of all girls, young and old. The artwork is eye candy for the heart. Nancy is an adorable young lady with curly hair, frilly adornments, and a melting smile. She is someone you will fall in love with. Each page contains a simple sentence illustrated by a whimsical scene. 2006, HarperCollins Publishers, Ages 4 to 8. Response to Two Professional Reviews: Both of these reviews capture my overall thoughts about this picture book. I absolutely loved the book for the reasons stated in these two reviews. I agree with Publisher’s Weekly that the book shows Nancy’s dramatic side, but it does so without making her sound like a total snob. Robyn Gioia also says that this book is ‘sure to tickle the fancy bone of all girls,” which I definitely can relate to! I loved the fun illustrations and cute story that this book told. Evaluation of Literary Elements: The plot and characterization of Nancy in this story is perfect for children. Nancy is characterized as a funny young girl who tries to make everything she does, "fancy" by adding her own touches. The setting can be seen through the colorful illustrations on each page. The pictures are bright and also comical, something children would definitely love! Fancy Nancy is about a young girl who absolutely loves being fancy. Being fancy to her is having nicer things and cool new ways to say things. She goes on and on about new and better ways to say things, like her favorite color being fuschia instead of just saying purple. She then goes out of her way to have her parents become fancy just like her and the parents willingly go along with her plan. They dress up in a bunch of layered clothes that make them look quite silly and act like they are true Fancy Nancy is about a young girl who absolutely loves being fancy. Being fancy to her is having nicer things and cool new ways to say things. She goes on and on about new and better ways to say things, like her favorite color being fuschia instead of just saying purple. She then goes out of her way to have her parents become fancy just like her and the parents willingly go along with her plan. They dress up in a bunch of layered clothes that make them look quite silly and act like they are true royalty. At the end of the day, when Nancy is tired, they put her to bed and tuck her in and the books end on a cute note with them telling them they love each other. Poznajcie Fancy. To mała dziewczynka, która ma głowę pełną pomysłów. Jej wyobraźnia nie zna granic. Nigdy się nie nudzi, bo zawsze potrafi wymyślić sobie jakieś ciekawe zajęcie. Pewnego dnia postanowiła, że będzie wyjątkowa i to przez duże W. Założyła fantazyjne kolorowe stroje pełne piórek, koronek i perełek. We włosach poutykała mnóstwo ozdób i założyła nawet koronę. Zmieniła również wygląd swojego pokoju - nad łóżkiem zawisł baldachim, wszędzie pojawiły się barwne kwiatki i choinkowe świecide Poznajcie Fancy. To mała dziewczynka, która ma głowę pełną pomysłów. Jej wyobraźnia nie zna granic. Nigdy się nie nudzi, bo zawsze potrafi wymyślić sobie jakieś ciekawe zajęcie. Pewnego dnia postanowiła, że będzie wyjątkowa i to przez duże W. Założyła fantazyjne kolorowe stroje pełne piórek, koronek i perełek. We włosach poutykała mnóstwo ozdób i założyła nawet koronę. Zmieniła również wygląd swojego pokoju - nad łóżkiem zawisł baldachim, wszędzie pojawiły się barwne kwiatki i choinkowe świecidełka. Wszystko wokół musiało stać się wyjątkowe i jedyne w swoim rodzaju. Jej ulubionym kolorem jest fuksja, czyli wyjątkowe określenie różowego. Dziewczynka nawet do pisania używa wyjątkowego pióra - z pióropuszem! Najbardziej nie może doczekać się nauki francuskiego, bo wg niej wszystko w tym języku brzmi jak? Oczywiście wyjątkowo. Tylko co z tego, że Fancy jest wyjątkowa, skoro jej rodzina już taka nie jest? Zachowują się zupełnie zwyczajnie i nie rozumieją na czym polega wyjątkowość. I nagle dziewczynka wpada na genialny pomysł! Zamierza poprowadzić kurs "Jak być wyjątkowym. Lekcje z Nancy". Czy uda jej się nauczyć mamę, tatę i siostrzyczkę, co oznacza bycie wyjątkowym i jak zachowywać się w wyjątkowy sposób? "Fancy Nancy niebywale wyjątkowa dziewczynka" to pierwsza część wielotomowej serii autorstwa Jane O'Connor, która od wielu lat (pierwsze wydanie 2005 rok) cieszy się niesłabnącą popularnością wśród młodych Czytelników na całym świecie. Na dzień dzisiejszy doliczyłam się około 60 wydanych historii z przygodami Fancy, a nadal powstają kolejne. Książeczki przetłumaczone zostały na ponad 20 języków. Powstanie nawet film na ich podstawie - prawa do niego wykupiła wytwórnia 20th Centrury Fox. Obecnie na naszym rynku pojawiły się pierwsze cztery części, a Wydawnictwo zapowiada publikację kolejnych tomów. When I went looking on the web to find out the English name of Jane O'Connor's series of books about a little girl who wants to be chic, I was a little taken aback to discover she's Fancy Nancy. We've been reading Mademoiselle Nancy to Jeanne (age three and a half) for about a month in French. Nancy says she plays better soccer when she wears frou-frou socks, she thinks her family should take lessons in how to be chic, she loves fuschia (the chic or fancy way to say pink) and she is brought down to earth every time in a charming way, after having learned a number of new, gorgeous words. I haven't counted, but there must be at least eight books in the series, some of which were developed to expand the horizons of early readers. The stories in French would seem to be particularly useful for kids in French immersion. Mademoiselle Nancy et le garçon de Paris, for example, takes place in some Canadian town where a newcomer plays "soccer" even though he comes from Paris: French kids would say foot. But who's to quibble when Nancy is there to dance around. Nancy's love for fancy words can come in handy when you're trying to get a child out of a potty mouth rut. Jeanne thinks it's hilarious that there are other words for pipi and caca and actually will use them occasionally. Nancy loves everything fancy! Her favorite color is fuchsia, she writes with a plume pen, and her doll's name is Marabelle Lavinia Chandellier. Unfortunately, Nancy's family is not as fancy as her, if at all. Nancy teaches her family what it means to be fancy, even dressing them up in fancy clothes. To celebrate their new fanciness, the family goes out to eat, and even though everyone stares at them they order parfaits and have fun... until Nancy trips and spills their parfaits on her fancy dres Nancy loves everything fancy! Her favorite color is fuchsia, she writes with a plume pen, and her doll's name is Marabelle Lavinia Chandellier. Unfortunately, Nancy's family is not as fancy as her, if at all. Nancy teaches her family what it means to be fancy, even dressing them up in fancy clothes. To celebrate their new fanciness, the family goes out to eat, and even though everyone stares at them they order parfaits and have fun... until Nancy trips and spills their parfaits on her fancy dress. But back at home, Nancy learns just how fancy her family is in making her feel loved. Brief summary-A girl who loves to be fancy finds a way to be fancy even in her plain family. Annotation A charming story that shows the way a girl can make herself fancy with what ever she has laying around the house. She even gets her family to be a little fancy too. Vocabulary - Although there are many skills represented I like this for a great vocabulary builder as Nancy always finds a fancier wor Brief summary-A girl who loves to be fancy finds a way to be fancy even in her plain family. Vocabulary - Although there are many skills represented I like this for a great vocabulary builder as Nancy always finds a fancier word for everything. Reading and Talking-This book does a great job keeping kids interested but it also allows for a lot of chances to talk about what is fancy and what is not fancy. Nancy loves for everything to be fancy. Trouble is, her family isn't fancy. So Nancy decides to give fancy lessons to her family. This is a cute little intro the the Fancy Nancy franchise. My daughter K(5) LOVES things to be fluffy, pink, sparkly, frilly - basically Fancy, the same as Nancy in the book. I love how supportive her parents are and the fun ways they use to support their daughter's personality. I'd love to see a future series with JoJo, and maybe use her to point out that not all litt Nancy loves for everything to be fancy. Trouble is, her family isn't fancy. So Nancy decides to give fancy lessons to her family. This is a cute little intro the the Fancy Nancy franchise. My daughter K(5) LOVES things to be fluffy, pink, sparkly, frilly - basically Fancy, the same as Nancy in the book. I love how supportive her parents are and the fun ways they use to support their daughter's personality. I'd love to see a future series with JoJo, and maybe use her to point out that not all little girls have to be "fancy" to be beautiful, though.